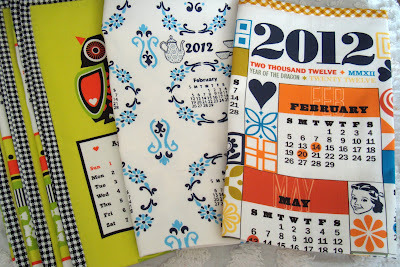 Every year I order calendar tea towels to gift at Christmas from Spoonflower. When Spoonflower has their 2 for 1 fat quarter sale in November, it makes it affordable. Each calendar is then $6.00. I order the cotton poplin and a fat quarter is a complete tea towel. I trim the edges and add binding, of course, before gifting. I'm not gaining anything by telling you about this sale but you might want to think about doing this for inexpensive or last minute gifts to have on hand. These are some towels I gave at Christmas in 2011. I try to be more organized for Christmas every year. Time slips by so fast. Happy Gifting. 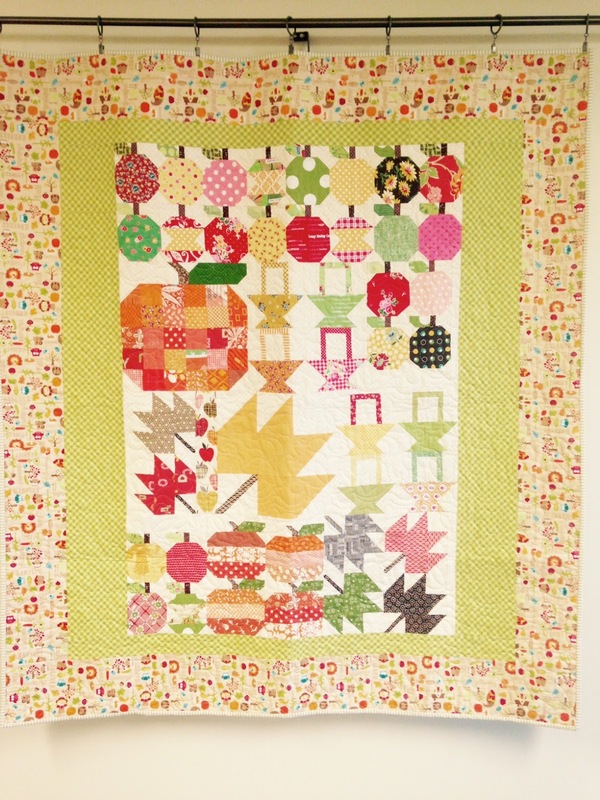 Recently I put together an assortment of blocks from Lori's Farm Girl Vintage book, her Quilty Fun book plus some of my own pumpkin block creations. I found I had enough blocks for 2 full quilts with left overs. I put together one quilt for myself but I hung it at the reception area of my work place to cheer up patients as they waited for the doctors. 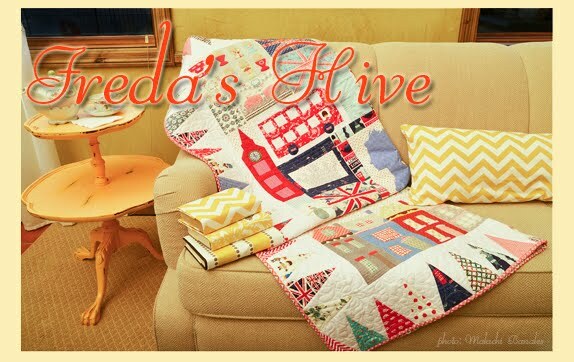 Next fall I will hang it at my house and figure out another quilt for fall at work. The other fall quilt I put together for a great friend who has helped me through some issues and listened to me when I needed an ear. 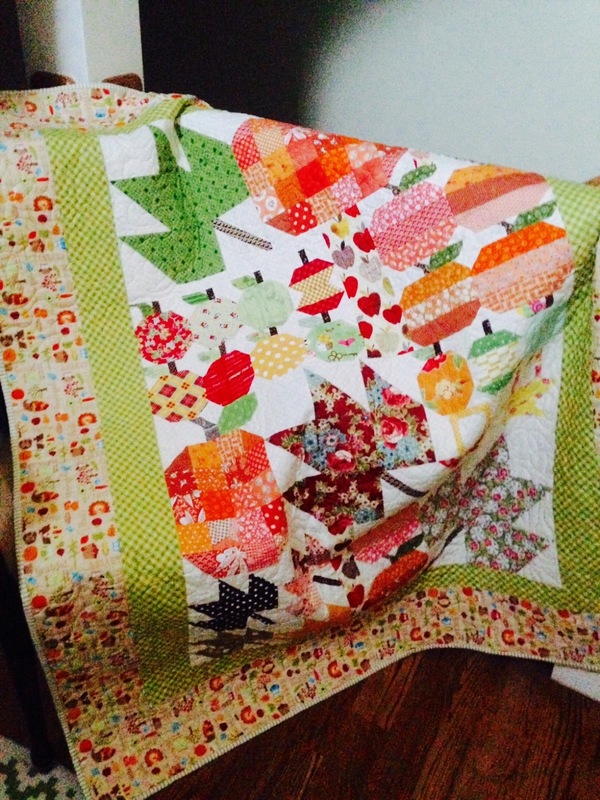 I'm very grateful to her and I thought a Thanksgiving theme fabric would be a great border for both quilts. 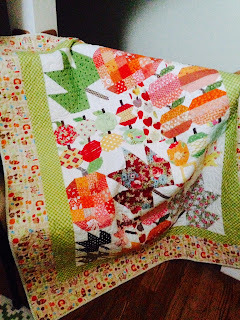 I used Riley Blake's Thanksgiving Harvest fabric. 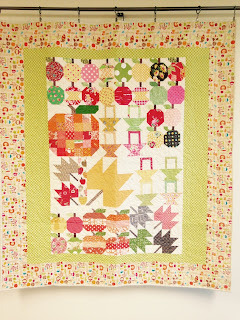 And of course most of the blocks are scrappy with odd bits of prints from my shelves. Scrappy is my favorite. I've also got a table runner to finish binding. I will show that one later after I watch a movie and hand stitch. Yes, I've been gone quite a bit from my blog. But I'm still sewing and busy with my usual life.